Your project appears prominently on PropertyWala.com homepage with a picture, giving you the maximum visibility and branding. Comprehensive custom branded project microsite linked from the homepage (see microsite package for microsite features). Your project picture/logo appears prominently in the monthly PropertyWala.com newsletter. All your property listings posted on PropertyWala.com website will be automatically posted on your microsite effectively doubling number of listings. Your microsite will also be linked from your PropertyWala.com builder profile page and all your property/project listings. Your microsite will be search engine optimized for high ranking in search engines like Google, Yahoo, MSN, etc. Your microsite will feature a dynamic satellite map showing the locations of all your projects/properties in one glance. 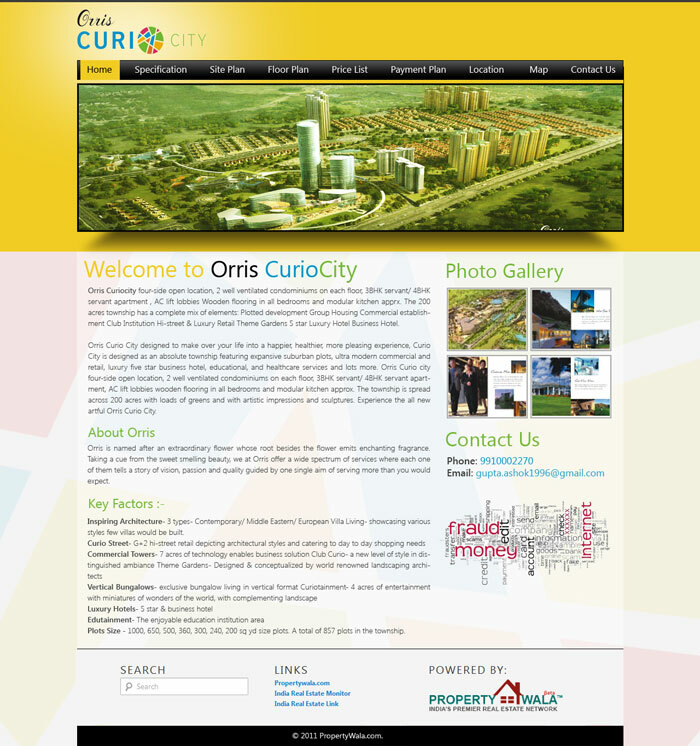 Your project logo/picture appears prominently on a PropertyWala.com city specific page (linked from the top of PropertyWala.com homepage), giving you the maximum visibility and branding. Property Listings for different types of properties available under the project. Comprehensive custom branded project microsite linked from the city page (see microsite package for microsite features).